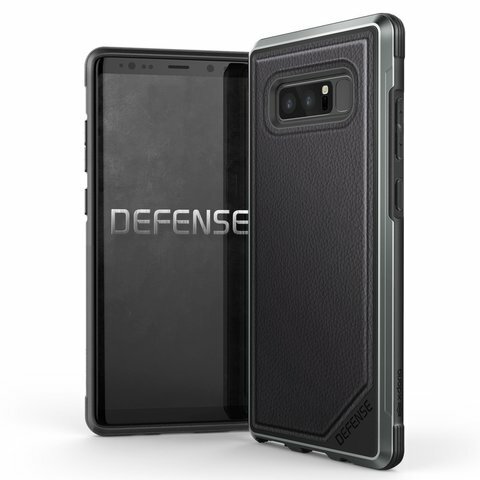 Defense Shield combines hard polycarbonate, soft rubber and anodized aluminum to form the best protective Galaxy Note 8 case. The use of machined metal instead of plastic provides military-grade drop protection without the bulk. 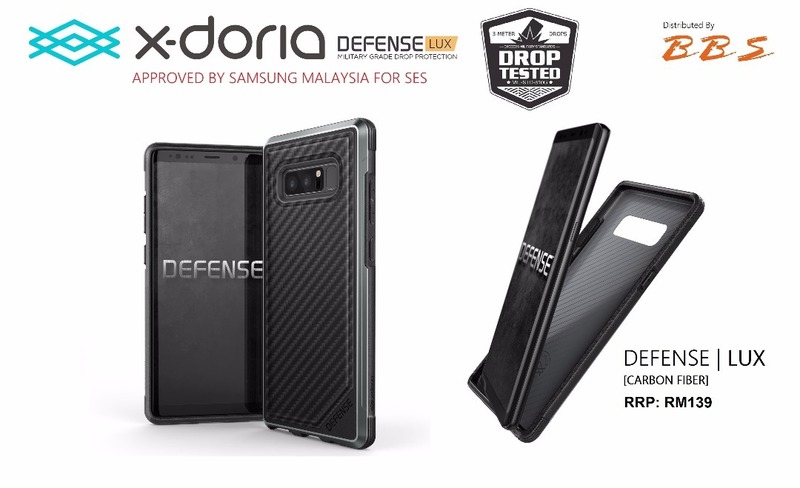 Drop tested to survive 9.9’ (3M) drops on concrete, Defense Shield is the ultimate way to protect but not cover up, your Galaxy Note 8. A heavy-duty, machined aluminum bumper protects the perimeter of your device, while inside, soft rubber wraps around your Galaxy Note 8, protecting from drops and ensuring metal never touches your device. An oversized raised lip protects your screen from drops and surface scratches. 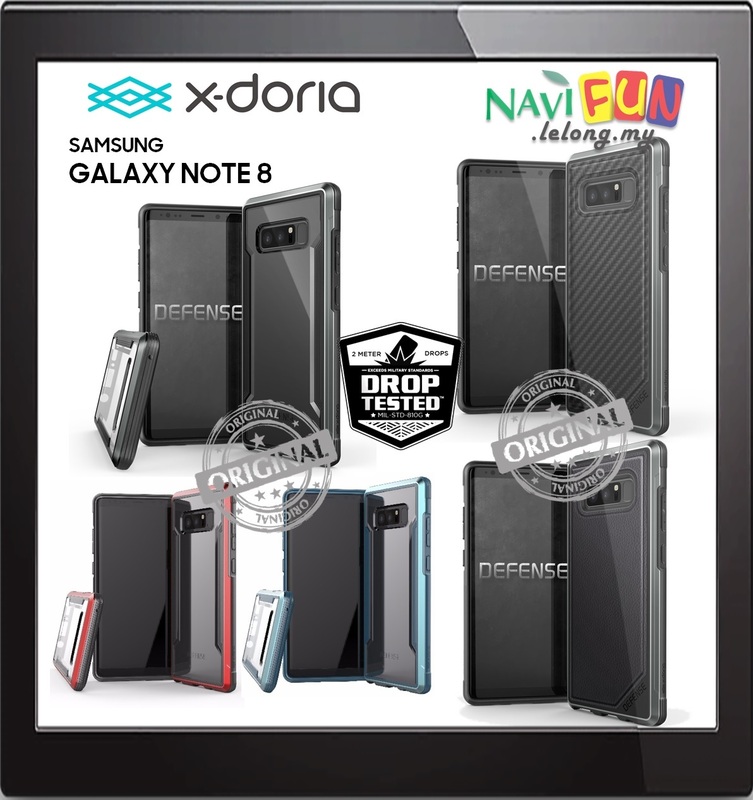 In the rear, clear polycarbonate protects your device without covering it up. An integrated sound channel amplifies the bottom speaker and redirects sound to the front of the case for the best sound experience. Simple snap on construction means no tools are required. Defense Lux by X-Doria brings together refined luxury and durability to create the ultimate Galaxy Note 8 protective case. 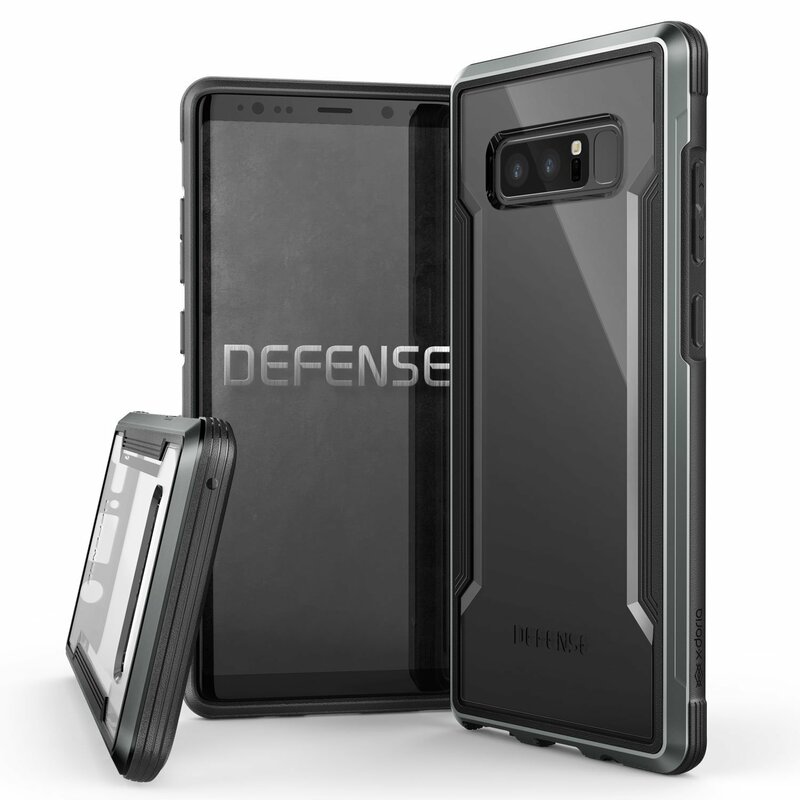 Defense Lux is precisely crafted to perfectly fit and protect your Galaxy Note 8. 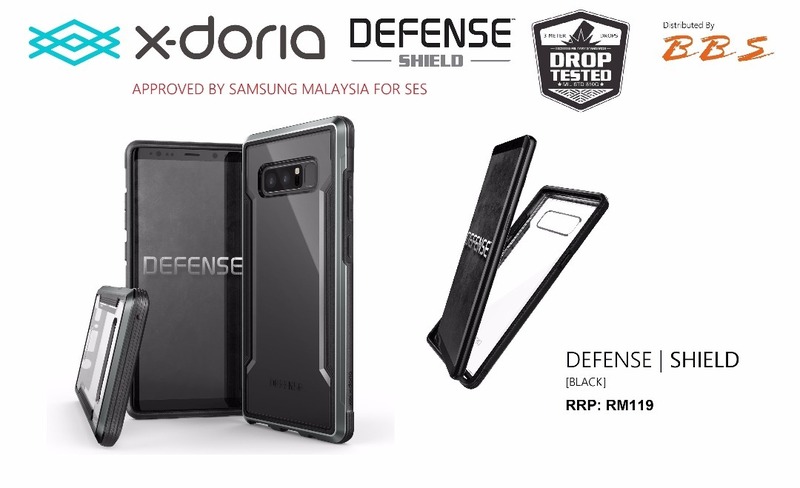 The use of machined metal around the perimeter, instead of plastic, provides military-grade drop protection without the bulk. Inside, a shock-absorbing, rubber layer is mated to a hard, impact resistant polycarbonate backing. On the back, a luxurious rear panel is added, ensuring Defense Lux always feels great in hand. Drop tested to survive 9.9’ (3M) drops on concrete, Defense Lux exceeds the drop standards laid out by Military Standard MIL-STD-810G. 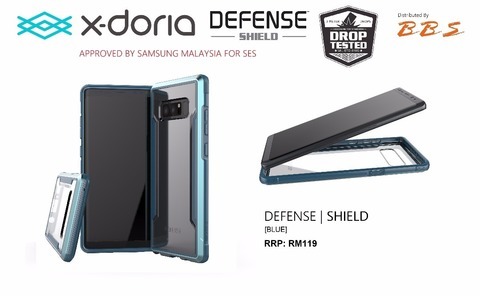 An integrated sound channel amplifies the bottom speaker and redirects sound to the front of the case for the best sound experience. Simple, one-piece construction means Defense Lux is easy to snap on, no tools required.